From where I can get pics of All India Institute of Medical Sciences, Rishikesh ? Is it possible to download the latest photos of AIIMS Rishikesh from the official website of All India Institute of Medical Sciences, Rishikesh ? Can you tell me in detail about the recruitment 2017 opened in All India Institute of Medical Sciences (AIIMS), Rishikesh for Senior Resident posts? 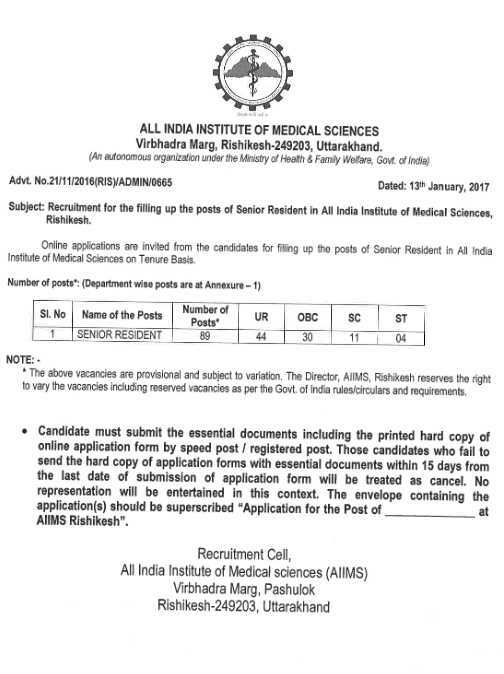 All India Institute of Medical Sciences (AIIMS), Rishikesh had issued a notification for the recruitment of 91 Senior Resident vacancies in various departments on tenure basis. 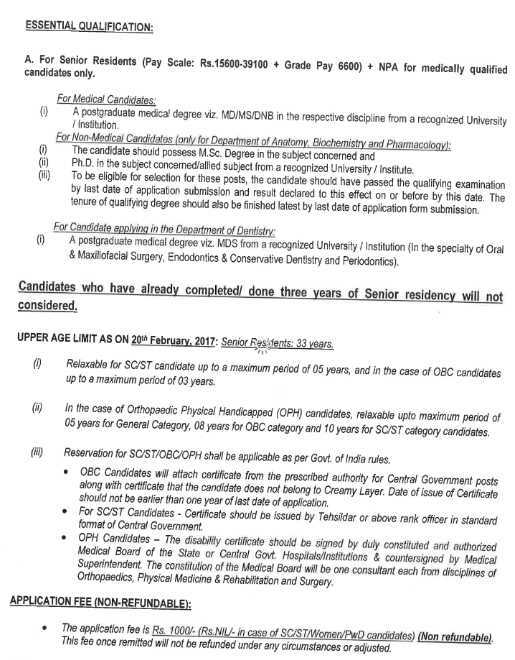 Eligible candidates applied online from 21-01-2017 to 20-02-2017. Candidateâ€™s age should be 33 years as on the last date of application. Age relaxation of 5 years for SC/ST, 3 years for OBC candidates & for other details refer the notification. Candidates possessed post graduation Medical Degree i.e. MD/ MS/ DNB in respective discipline for medical candidates, M. Sc degree in the subject concerned, Ph. D in the subject concerned/ allied subject for non medical candidates from a recognized University/ Institution. One was selected based on interview/ written exam. Starting Date for Online Application: 21-01-2017 at 10.00 AM. Last Date for Online Application: 20-02-2017 till 05.00 PM.